Solar with business smarts	See what Enphase Commercial Solutions can bring to your business. 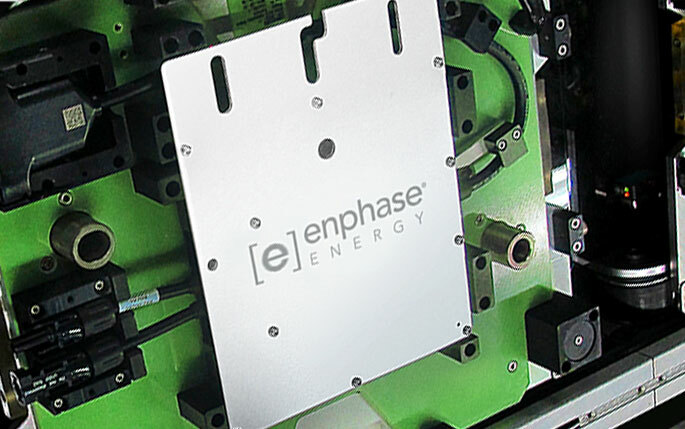 Enphase microinverters bring you a lower LCOE and a higher IRR. Unlike conventional inverters, microinverters operate independently, so one struggling module won’t drag the whole system down. Combine higher production with lower O&M and BoS costs, and you get greater value. Enphase Energy Services brings you proactive operations and maintenance services and a 100% uptime guarantee. 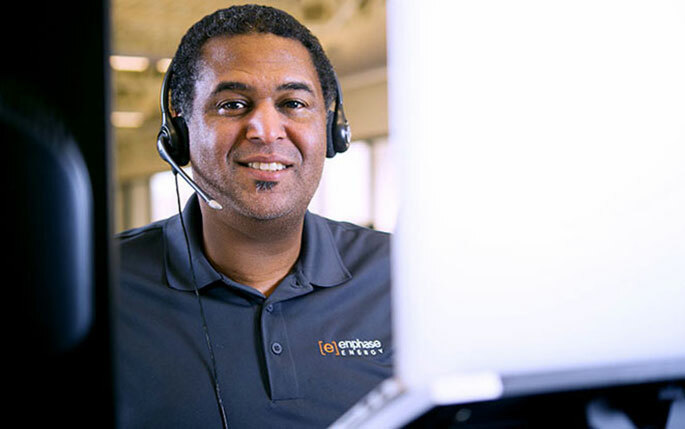 We’ll make sure your system is running smoothly, so you can focus on running your business. We’re proud to have our industry’s highest quality standards, testing our microinverters for a record one million hours before launch. We’ve got quality at our core -- so you get products that stand the test of time, and withstand the elements. With inverters, more is better. It’s the distributed architecture advantage: without a single point of failure, microinverters make for a more reliable system. You’ll never have to worry about one mishap crippling your output. Plus, all-AC power means greater safety. Make the most of any roof. Without the rigid design limitations of conventional inverters, you get simpler, faster engineering, even on typical roofs. Forget finding space for a string inverter or large setbacks around obstructions, and maximize the density of your array. Enphase microinverters are safer than other solar technologies, so it’s no surprise that schools and universities around the world choose Enphase. Our advanced technology produces more solar power, so you can spend less on electricity and more on learning. See how Enphase brings you the best value. The state where your project is located lets us estimate your utility rate and the amount of sunshine at your site. Select the total size of the solar system in kilowatts DC. It is the module power multiplied by the total number of modules. Select the DC output power rating in watts DC for the modules under standard test conditions. The cost for the string or central inverter(s), assuming no extended warranty. The national average cost is $.15 / W for non-residential systems. Learn more. The total installed cost for the entire solar system, including materials, labor and overhead. The national average cost is $2.25 / W for non-residential systems. Learn more. Enphase’s finance partner network can help you secure funding for your project, and secure it faster. Build AC system designs in minutes with our partners’ design software, and let our in-house design team help you create plans for Enphase systems. The Enphase microinverter system brings you design flexibility and a set of components built to simplify and speed up installation. 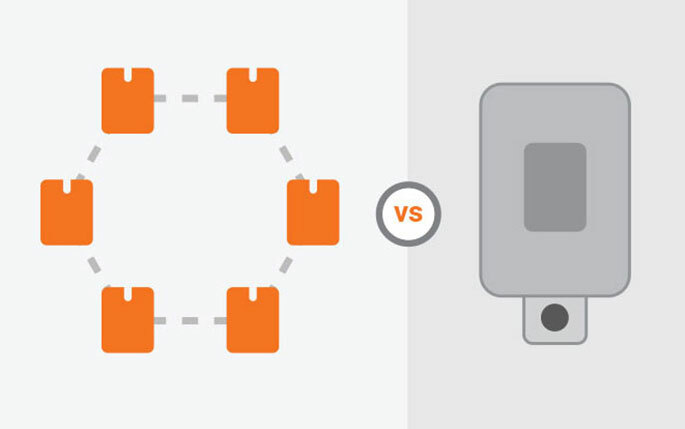 Track your system’s production in real time with in-depth, module-level monitoring. Save on O&M by pinpointing any issues, and often resolving them, remotely. Using microinverters let Puerto Rico's Caribe Federal fit 25% more modules on its typical commercial roof, without losing space to a string inverter or wide setbacks for its HVAC units. 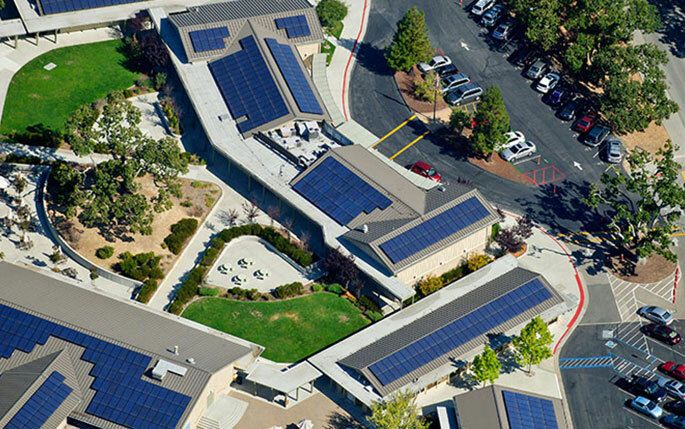 Microinverters’ superior safety made them a natural fit for the Portola Valley School District, along with the ability to accommodate a two-site, 10-building project. Talk to an Enphase representative about your project. A sun-powered space for Balanced Body. Find out why this Pilates equipment supplier’s new roof is decked out with skylights and Enphase microinverters. Greentech Media puts on Enphase on its list of the top companies disrupting the US electric market in 2015.